Let's take a look at the last of these items. In the literature of paranormal phenomena, there are countless cases of mediums or "channelers" who seemed to briefly go into a trance state or an abnormal mental state, and then spoke as if some other mind had borrowed their body. I speak here of cases in which a person's body rather appears to be borrowed for a relatively brief time, such as a number of minutes or a few hours. Such an apparent "borrower" of the person's body may be identified as a "spirit control." In some cases the person may start speaking as if he or she is a particular deceased historical person, or some unknown figure. A fascinating example was the case of Jane Roberts, who would often seem to be possessed by a mind identified as Seth. Several interesting books (sometimes called the Seth Material) were compiled from the utterances of this "Seth" personality that seemed to borrow Roberts' body. Another similar case was that of the Brazilian healer Arigo, who would very often act as if he was possessed by the spirit of a German doctor. Speaking in a heavy German accent at such times, Arigo (who lacked medical training) apparently performed countless cures and successful surgical operations. What is much less common are cases in which a person's mind and personality seems to vanish for many days, apparently to be replaced by the mind of a deceased person. One occurred in the US, and another in India. Neither was reported as a case of demonic possession, meaning both cases were free from the intellectual baggage associated with that idea. The case in the US was the case reported in the book “The Wasekea Wonder” written by E.W. Stevens, and published in 1878. You can read the original account at this location. The account describes events that occurred in Watseka, Illinois in 1877 and 1878. In a case like this, the fact that we can read a contemporaneous account written soon after the events is a fact bolstering the credibility of the evidence. The only acquaintance ever had been between the two families during the season, was simply one brief call of Mrs. Roff, for a few minutes, on Mrs. Vennum, which call was never returned; and a formal speaking acquaintance between the two gentlemen. Since 1871, the Vennum family had lived entirely away from the vicinity of Mr. Roff's, and never nearer than now, on extreme opposite limits of the city. On the following morning, Friday, February first, Mr. Vennum called at the office of Mr. Roff and informed him that the girl claimed to be Mary Roff and wanted to go home. To use Mr. Vennum's wards: “She seems like a child real homesick, wanting to see her pa and ma and her brothers." Who was this Mary Roff? On page 4 of the Stevens account, we are told that Mary Roff, the daughter of Asa and Ann Roff, was born on the eighth day of October, 1846, in Indiana. On page 6 we are told that Mary Roff died on July 5, 1865, the year after the year that Mary Lurancy Vennum was born. So when Mary Lurancy Vennum claimed to be Mary Roff in February, 1878, she was claiming to be someone who had died 13 years ago. About a week after she took control of the body, Mrs. A. B. Roff and her daughter, Mrs. Minerva Alter, Mary's sister, hearing of the remarkable change, went to see the girl. As they came in sight, far down the street, Mary, looking out of the window, exclaimed exultingly, "There comes my ma and sister Nervie!" the name by which Mary used to call Mrs. Alter in girlhood. As they came into the house, she caught them around the necks, wept and cried for joy, and seemed so happy to meet them. From this time on she seemed more homesick than before. At times she seemed almost frantic to go home. On the eleventh day of February, 1878, they sent the girl to Mr. Roff's, where she met her “pa and ma," and each member of the family, with the most gratifying expressions of love and affection, by words and embraces. On being asked how long she would stay, she said, "The angels will let me stay till sometime in May;" and she made it her home there till May twenty-first three months and ten days, a happy contented daughter and sister in a borrowed body. The girl now in her new home, seemed perfectly happy and content, knowing every person and everything that Mary knew when in her original body, twelve years to twenty-five years ago, recognizing and calling by name those who were friends and neighbors of the family from 1852 to 1865, when Mary died, calling attention to scores, yes, hundreds of incidents that transpired during her natural life. During all the period of her sojourn at Mr. Roff's she had no knowledge of, and did not recognize any of Mr. Vennum's family or neighbors, yet Mr. and Mrs. Vennum and their children visited her and Mr. Roff's people, she being introduced to them as to any strangers. Mary is perfectly happy; she recognizes everybody and everything that she knew when in her body twelve or more years ago. She knows nobody nor anything whatever that is known by Lurancy. After some three months, there seemed to occur strange oscillations in which the body of Mary Lurancy Vennum seemed to switch between the mind or soul of Mary Roff and the mind or soul of Mary Lurancy Vennum. Before returning to normal, the teenager bid a tearful farewell to Mr. Roff. Soon thereafter the astonishing “switch” was over. Now identifying herself as the original Mary Lurancy Vennum, the teenager joyously greeted her parents, like someone who had been away for the summer in a summer camp. 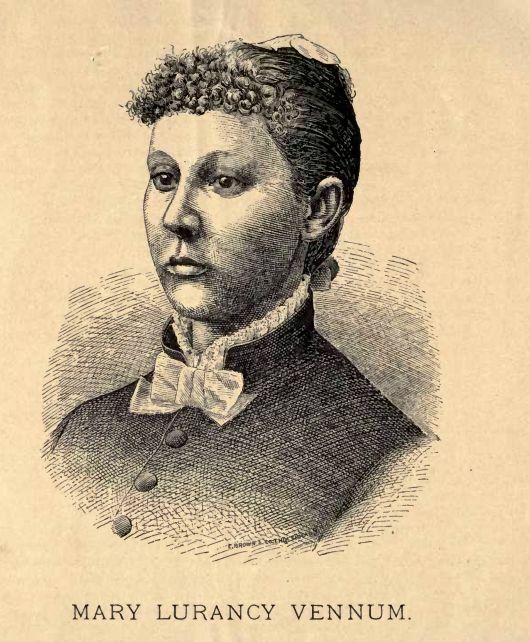 Although it was called a "singularity" by one writer, the astonishing case of Mary Lurancy Vennum (the Watseka Wonder) is not unique. A distinguished researcher has documented a similar case that occurred in India. The case is described in the paper "A Case of the Possession Type in India With Evidence of Paranormal Knowledge" by Ian Stevenson and two other researchers (Pasricha and McClean-Rice). There is the remarkable detail that a woman named Sumitra seemed to die or fall into a coma, and then awoke claiming to be a no-longer-living person named Shiva who lived 100 kilometers away. A young married woman, Sumitra, in a village of northern India, apparently died and then revived. After a period of confusion she stated that she was one Shiva who had been murdered in another village. She gave enough details to permit verification of her statements, which corresponded to facts in the life of another young married woman called Shiva. Shiva had lived in a place about 100 km away, and she had died violently there-either by suicide or murder-about two months before Sumitra's apparent death and revival. Subsequently, Sumitra recognized 23 persons (in person or in photographs) known to Shiva. She also showed in several respects new behavior that accorded with Shiva's personality and attainments. For example, Shiva's family were Brahmins (high caste), whereas Sumitra's were Thakurs (second caste); after the change in her personality Sumitra showed Brahmin habits that were strange in her family. Extensive interviews with 53 informants satisfied the investigators that the families concerned had been, as they claimed, completely unknown to each other before the case developed and that Sumitra had had no normal knowledge of the people and events in Shiva's life. The authors conclude that the subject demonstrated knowledge of another person's life obtained paranormally. The case has some interesting parallels with the Vennum case. In both cases: (1) before the reported "mind switch" the subject experienced a strange sickness that included one or more trances; (2) in both cases the subject suddenly reported that she was now a different person who had died; (3) in both cases the subject was able to make numerous identifications that should have been possible only for the person who died; (4) in both cases at the same time the subject claimed to be the person who had died, she no longer recognized family members belonging to her original family (not the family of the person who previously died); (5) in both cases the "spiritual possession" seemed to last for more than two months. Both cases were written up in the same year they occurred, and the Stevenson 1989 paper was partially based on a 1985 newspaper account published in the same year as Sumitra's "mind switch" to that of the deceased woman named Shiva. While Mary Lurancy Vennum spent only three months claiming to be the late Mary Roff, before assuming her original personality, in the case of Sumitra she seemed to have the mind of the deceased Shiva for more than two years. The Sumitra case is perhaps even better as evidence than the Mary Lurancy Vennum case. The family of Mary Roff had a slight interaction with the family of Mary Lurancy Vennum (but without conversation between the one Mary who died a year after the other Mary was born), prior to the alleged "mind switch" in which Mary Lurancy Vennum started acting like Mary Roff. But prior to the time that Sumitra started acting like Shiva, there was no interaction between Sumitra or her family and Shiva or her family, who lived 100 kilometers away. In 1985 there was no Internet allowing anyone to find out details about someone living 100 kilometers away. The Stevenson paper reported that Sumitra was able to make 12 identifications of Shiva's family members and friends under conditions which "excluded cueing." Both the Mary Lurancy Vennum case and the Sumitra case were written up by medical professionals who thoroughly interviewed the persons interacting with the case not long after the events occurred. For example, Stevenson's co-author Satwant Pasricha (a clinical psychologist) interviewed some members of the family of Sumitra and Shiva in 1985, the same year Sumitra's "spiritual possession" began; and Stevenson (a professor of medicine and psychiatry) and his co-authors interviewed 24 members of the family of Sumitra and the family of Shiva in 1986 and 1987. The Mary Lurancy Vennum case was documented by a physician (Stevens) who interviewed the relevant persons in the same year the events occurred. In both cases, every fact documented seemed to support the astonishing hypothesis of a body being long borrowed by another mind, the mind of a real person who had died.